"For above all, love is a sharing. Love is a power. Love is a change that takes place in our own heart. Frederick W. Bailes was an accomplished metaphysical healer and Science of Mind teacher. Frederick W. Bailes was born in New Zealand in 1889 where he studied to become a medical missionary. Before Bailes could complete his training he was diagnosed with diabetes, which at the time was considered an incurable disease since insilin had not yet been discovered. His diagnosis would prevent him from entering his own field of work. But soon afterwards, Frederick came across the writing of Judge Thomas Troward and began to develop a philosophy of living for himself. This new-found inspration led to his complete recovery from diabetes. Long before the discovery of insulin, Bailes healed his diabetes using his new life philosophy and mental healing techniques. Years later, Frederick Bailes would enter medical school at a large hosptial in London. It was here that Dr. Bailes would observe the mental factors which entered into the recovery of patients. He noticed that certain fundamental thought-patterns invariably produced bodily reactions. Bailes discovered that by encouraging his patients causative mental patterns toward healing, remarkable healings occurred as a result. Dr. Bailes went on to became an accomplished metaphysical healer and would write many books explaining the mental techniques and healing methods which he used to heal himself and his patients. Frederick Bailes would later meet and assist the Science of Mind founder, Ernest Holmes. He the Assistant Dean of the Science of Mind Institute in Los Angeles, and also headed the largest Science of Mind church of its time. Frederick W. Bailes became on of the most popular and important teachers of the Science of Mind philosophy. 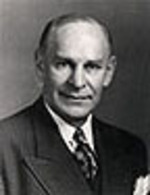 Dr. Frederick W. Bailes also gave weekly lectures to audiences in Los Angeles. He was also well known for his popular radio broadcasts which aired twice per week.